The first issue of "Galaksije" came out in March 1972, as continuation of "Kosmoplov", a compendium of SF short-stories and novels. This magazine was intended to popularize science and technical achievements and was published regularly on monthly basis until the time of disintegration of ex-Yugoslavia, after which it continued to be published occasionally until the end of the last century. At its peak its circulation was 80,000 copies. "Galaksija" was exceptional in many ways. For a while it was the only publication dedicated specifically to promoting science and technology, which is why it was read by an audience across the former state. 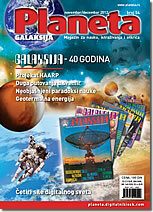 It also resulted in a number of periodical special editions: "Solar Homes", "Andromeda", "Computers", "The Book on Tesla", "The Hungarian Cube". "Planeta" is the continuation of this magazine both thematically and in terms of the original associates. This feature article presents statements made by the initiator and associates of "Galaksija". The Scientific-Teaching Council of the Mathematical institute of the Serbian Academy of Sciences and Arts awarded a newly established Charter to the young mathematician Teodor fon Burg (19). 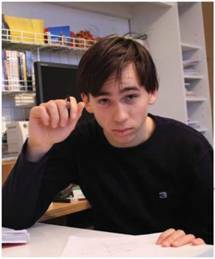 Fon Burg, as a student of the Mathematical Gymnasium of Belgrade, represented his school at the International mathematical Olympics this summer in Mar del Plati (Argentina), a prestigious competition of mathematical talents – as the most successful mathematician among secondary school students in the world! Teodor fon Burg has won first prizes or was highly ranked at numerous mathematical international competitions, winning a total of more than twenty medals. At the beginning of this autumn, in Belgrade, two exhibitions were organized regarding two globally recognised Serbian scientists and inventors. In the Museum "Nikola Tesla" for the first time artefacts were exhibited from the hotel rooms of hotel "New Yorker", in which Nikola Tesla lived from 1933 until his death in 1943. These rooms were home to Tesla, into which he brought a number of his personal belongings and furniture. 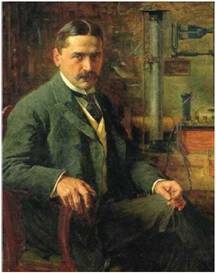 The Gallery of Science and Technology within the Serbian Academy of Science and Arts staged an exhibition on Mihajlo Pupin, a great scientist in the field of telecommunications and an inventor of numerous patents (the most famous of which is "Pupun's Coils"). Pupin was born in the village of Idvor, about thirty kilometres northeast of Belgrade. 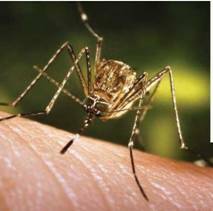 The recent threat of spread of the "Western Nile fever" was the reason to publish an article on infectious diseases, their diagnosing and treatment. This is the topic we talked about with Dr Darko Nozic, Ph.D., Head of Clinic of Infective and Tropical Diseases of the Military Medical Academy and consultant of the General Hospital Bel Medic in Belgrade. The article also speaks of risks associated to exposure to bacteria, viruses as causes of various diseases, hepatitis C, bird flue, SARS, Lyme disease, malaria, etc., and the possibility of their occurrence in Serbia. Dr Nozic explains the complex diagnostic methods, methods of immunisation and treatment. SETI and the „great silence"
Why have we not yet made contact with some civilisation from space? 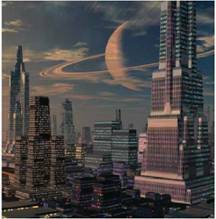 There are numerous answers: starting from statements that such civilisations are too distant, all the way to scenarios according to which all intelligent civilisations have been destroyed, and that life-supporting conditions have been created only once, on planet earth. The Program SETI searches for answers to the question whether we are alone in space. Or, why we are looking only for human sort of intelligence, and why we are not ready for contact with other forms of life in space. This is why contemporary astrobio-logy has no answer to these questions. Research of the cosmos by cosmic probes, initiated by photographs of the other side of the moon, in 1959 ("Luna" probe), resulted in sudden advancement in learning about planets and other cosmic bodies. More than a hundred different self-propelled probes have since been sent to the cosmos, whereby the Solar system became a space in which human technology interfered in a unique way. Most of the probes performed their tasks, and some have been extinguished. 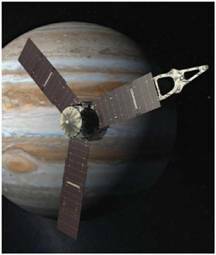 The probes were mostly sent to missions on and around the Moon, Mars, and Venus. Some of them were also sent to the outer planets and comets: "higgins-cassini" is in the Saturn orbit, "rosette" is on the way to comet 67/P, "new horizons" on the way to Pluto and "juno" to Jupiter. Signals are still transmitted by probes "voyager 1" and "voyager 2", although they were launched more than three decades ago. 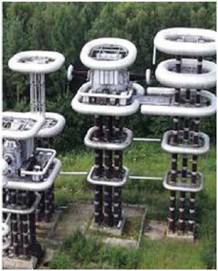 The primary purpose of the HAARP system is to improve communications and radio frequencies of electromagnetic waves from submarines at great depths and other military devices. The Project can make ionosphere serve as a huge natural radar system which can even neglect the shape of the Earth and thus identify projectiles even at the distance of several thousands kilometres. Using targeted pulse of very high energy it is possible to also destroy such projectiles. The system is obviously based ion the ideas of Nikola Tesla who believed that the transmission of energy can be done by wireless means. The Crust of the Earth is abundant in heat energy in different forms, and it is only a distance of 5.6 km which separates us from it. However, it is still more cost-efficient to search for oil or natural gas at smaller distances than for underground reserves of hot water or hot stone lava. The installed power of geo-thermal power plants is estimated at about 11,000 MW. 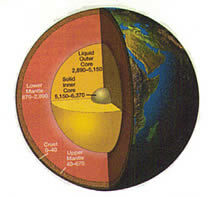 Below the crust of the Earth is a layer of melted hot rocks. A part of heat energy is produced by these rocks through the degradation of radioactive materials, while a part results by transforming the heat into the blazing core of the Earth. After the fall of the Ottoman Empire, the region of Bosnia was diverse in terms of religions. There were different forms of Christianity and other religions, and the non-dualistic Church of Bosnia, the religious community most close to the ruling court, which readily accepted also the faithful fleeing before the inquisition and the surviving pagans. This Church is closely associated with the existence of tombstones well known as "stecci". 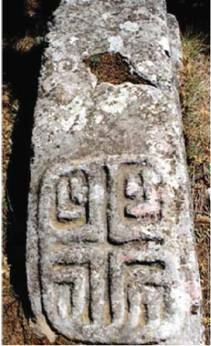 The number of such tomb-stones identified until the present days is about 66,000 and, apart from Bosnia, they are to be found also in Dalmatia, Serbia, Montenegro, and Herzegovina. Some weight as many as 30 tons. A small number of these monuments also have inscriptions in Bosnian Cyrillic script, the official script of Bosnian rulers. This article speaks of the still not fully understood origin of these monuments.